Limited-time introductory price of $6.95 until April 25, 2019! When this product hits Electrum best-seller status, I'll add 4 more villains! Tired of heroes demolishing your dreadlords? Bored of barbarians brushing aside your BBEG? Sick of those meddling kids ruining your zoning plans? 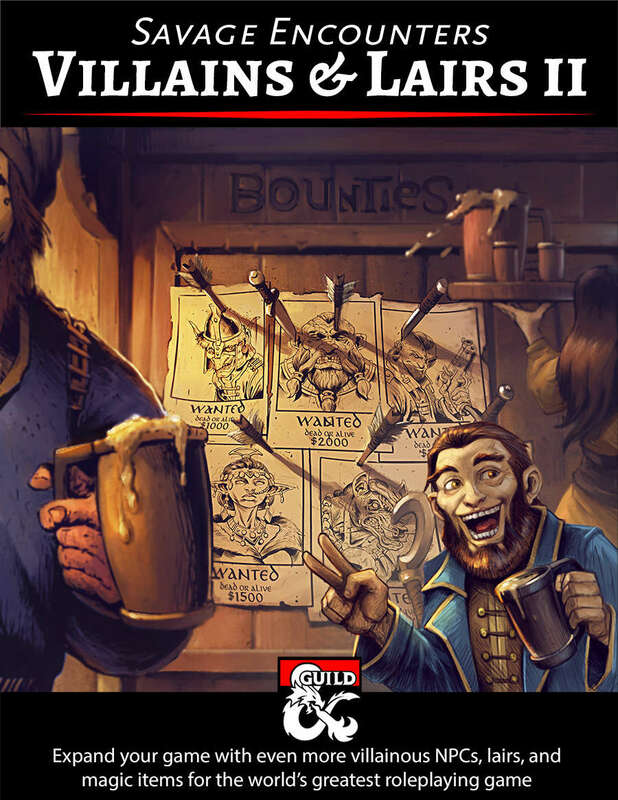 Revolutionize your game with this collection of 24 villanous NPCs, from small fry to world-ender, eight of which include maps and details of their lairs. Sinister side-quests, terrifying overlords, bounties, one-shots and more lie in wait for you inside. If that weren't enough, each NPC includes an image, backstory, motives, flaws, and a curated stat block. Some even include new magic items! Plus, you can download the maps!